MIAMI – U.S. Small Business Administration South Florida District Office recently announced the winners of the Small Business Association’s 2018 District and State of Florida Small Business Week Awards. 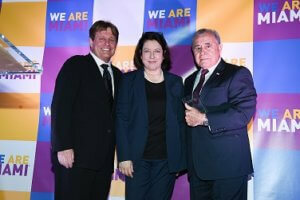 The Miami, Florida-based Miami Bayside Foundation was named the SBA’s 2018 Community Partner of the Year (State of Florida and South Florida District). The Foundation, nominated by the Small Business Development Center at Florida International University, is a nonprofit organization designed to advance economic development in the City of Miami through the support of minority businesses and education. With a focus on economic development, the Foundation has to date awarded over $2.8 million in loans to City of Miami minority-owned businesses creating more than 300 jobs and additional community partnership that have helped train more than 350 business owners.